How does your life intersect with that of your favorite hero or heroine? 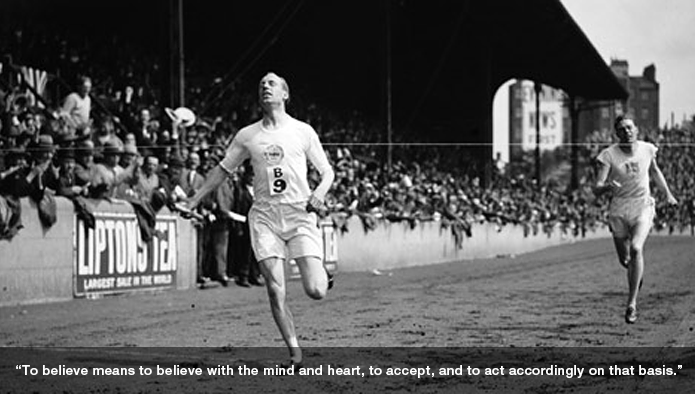 In my last blog, I reviewed The Final Race, a brilliant biography about Eric Liddell. 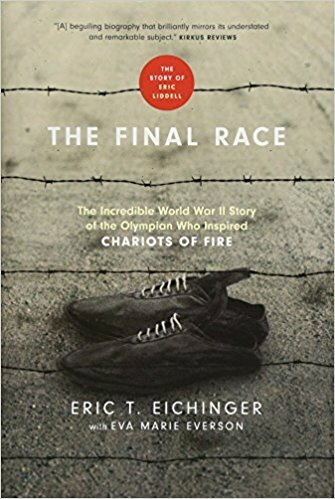 This week, I have the privilege to ask author Eric T. Eichinger how his life intersects with the life of his longtime hero. 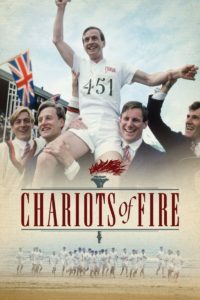 Eric, in The Final Race, you described how seeing Chariots of Fire when you were eight made you an “instant fanatic of Eric Liddell.” Did your parents name you after the famous Olympian? No, that was a serendipitous coincidence. What was it about him that so impacted you? 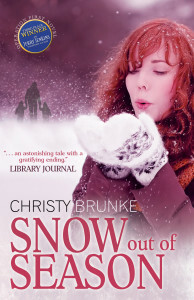 It was inspiring to see a fellow Christian portrayed in such a dramatic and heroic way [Tweet that! ], particularly the running set to the iconic music of Chariots of Fire. In general, there weren’t a lot of major movies that positively showcased Christianity. My formative church was like Liddell’s as depicted in the film: liturgy, proper dress, and singing hymns out of hymnals. 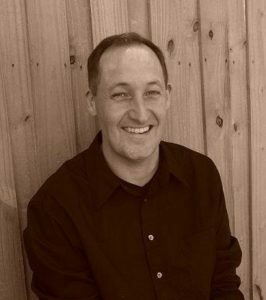 It offered me a vivid picture of what an adult Christian could be like. The fact that I was a swift runner and shared the same name all but sealed the deal of fascination for me. Did you ever aspire to be an Olympian? Every runner that achieves a certain level of success at the university level peeks around that corner of fantasy. To win a gold medal on the highest stage for one’s country . . . sigh. I flirted with breaking the 4-minute mile, offering up a 4.04 personal best. But I knew another 15 seconds would need to be shaved off for any serious Olympic attempt. In what ways are you and Eric most alike? We share several similarities including our first name, running at a high level, and serving and teaching in China. Plus, we both became ordained ministers, wrote a book, and met our respective wives in China. 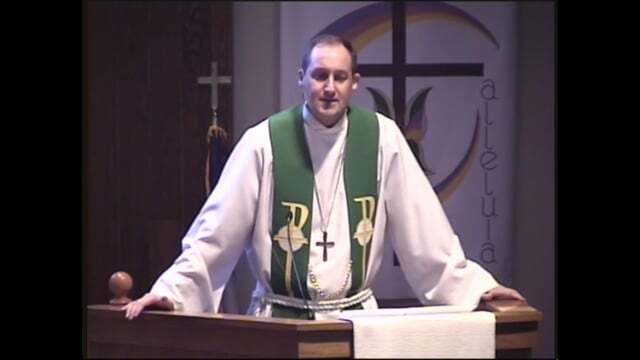 Eric T. Eichinger speaking at Bethel Lutheran Church. Probably our theology. Early on, Liddell possessed more of a rigid understanding of the Law of God’s Word. The degree to which he observed the Sabbath is well known and documented, but this also spilled into his everyday spiritual walk. He lived a life of strict obedience to God’s Word. His relentless quest for perfection bordered on a works righteousness mentality. Ultimately, he warmed to some Gospel grace tendencies in his later years. My theology is more balanced with a constant tension between the Law & Gospel of God’s Word. I spend a great deal of time musing on the intersection between how I stand before Christ— a 100% passive righteousness received from God—and how I interact with the world— an active righteousness of my own service. What quality of Eric’s do you most want to imitate? He seemed to cheerfully make time for all in every circumstance. I can tend to be more selfish with my time. Want to know more about Eric Liddell’s and Eric Eichinger’s years in China? Check out our second interview here! Eichinger shares how God called him to China, how he met Liddell’s daughters, and how he retraced Liddell’s steps in China, Scotland, and Canada. Don’t miss it!